If you look around at the Water Front Marina Wing of Lumut, you may see a status of the anchor just like the medal. As of the border of the medal, it is also made in a way which it look like a frame / gate (~7 feet high) at the Water Front Marina Wing. Unfortunately No, it is only for anyone (including foreigner) who has a Malaysia address only. 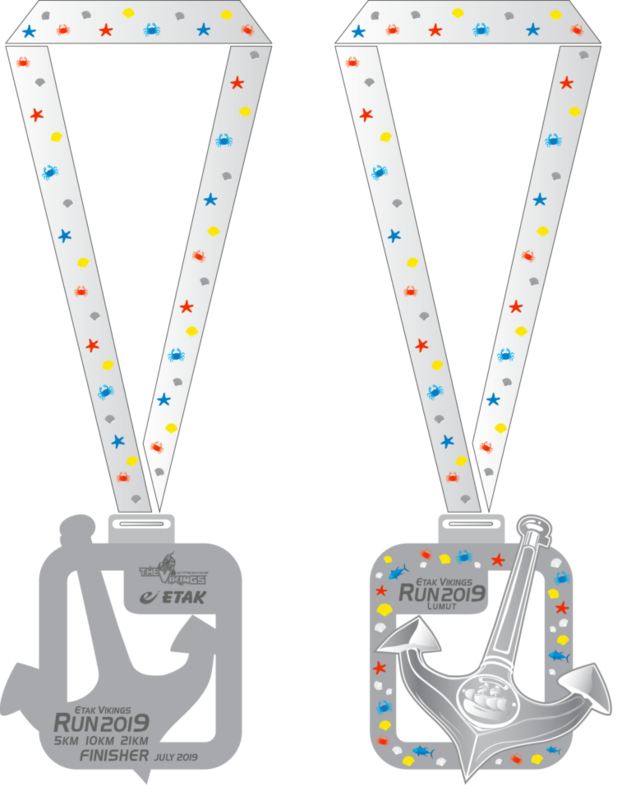 Yes, submission of results with pictures is to prove that you have completed the run and has to be submitted before the 29th June 2019 in order to receive your rewards (medal & AWAKEN T-Shirt and/or Finisher T-shirt). 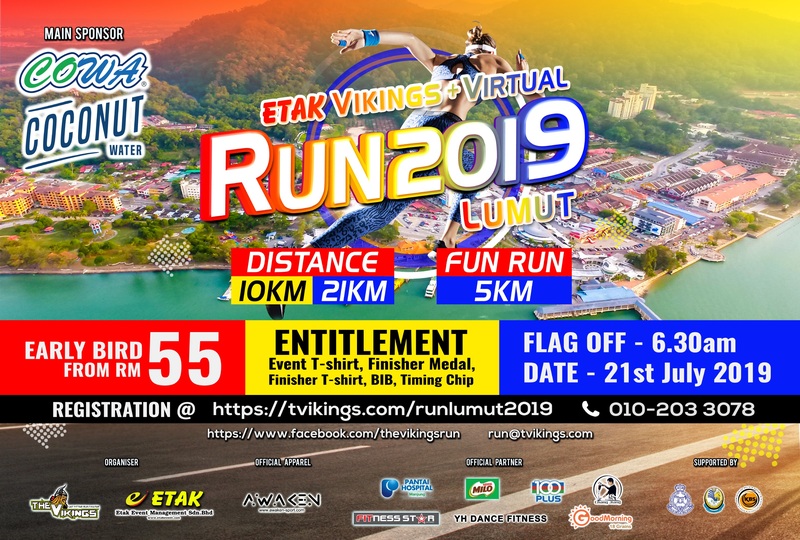 Log on the www.tvikings.com/runlumut2019 and click of “RESULT SUBMISSION” at the top or bottom of the page. 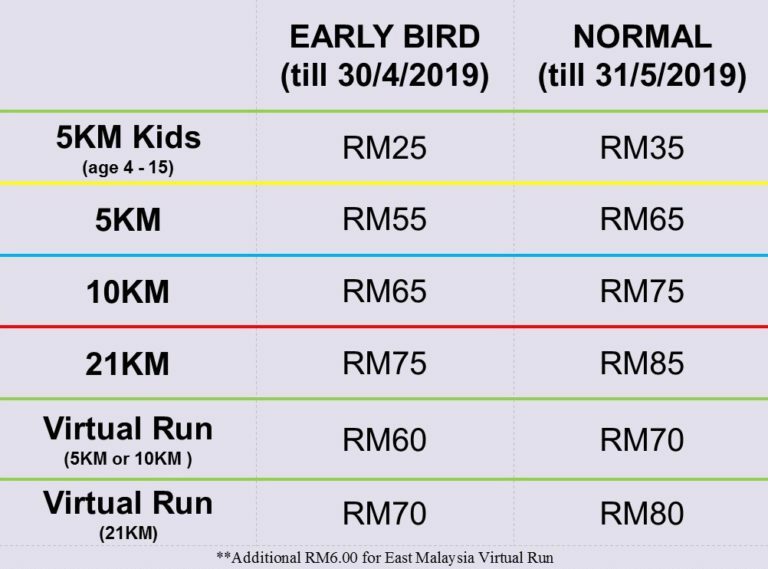 1)The Vikings Run 2019 is organised by Vikings Enterprise and it is open to everyone who has an Malaysia identification card only. 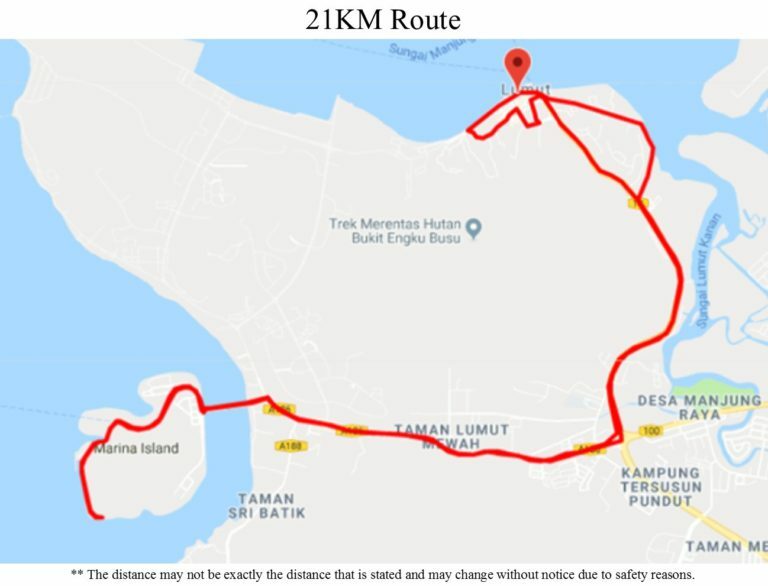 2)The event will be held on 21st July 2019, Sunday at Lumut Waterfront. The Organiser reserves the right to postpone or cancel the Event at any time. 3) All T-shirts measurement are subject to 0.5 inch tolerance. 5) The 21KM and 10KM actual run are open to participant age 16 and above. If you are below 18 years of age, your legal guardian must have read and understood the contents of this document. 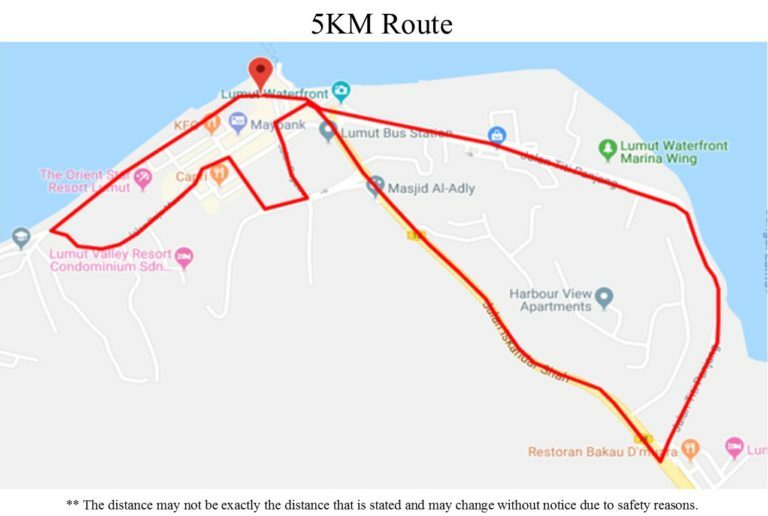 6) The 5KM run are open to participant aged 4 and above. For participant between 4-15 years old must be accompanied by at least ONE (1) adult participant aged 18 years and above. 7) Once participant registration is done, there will be NO refund even if participants are not able to participate due to whatever reason. 8) Participant must be certified fit to participate in this event. Vikings Enterprise (The organiser, event sponsors, partners and each respective directors, officers, employees, contractors, volunteers and/or agents) shall not be liable for any property loss/damage, death, accident, injuries or mishaps that happen when participating the event. 10) All payments are to be collected in Ringgit Malaysia. 11) Participant agree to provide accurate, true, current and complete information about the Participant. The Organiser may contact the Participants time by e-mail or text message. Any notice sent to the e-mail address registered with the Organiser shall consider as received by the Participant. If the Participant provide any information that is inaccurate, untrue, not current or incomplete, or the Organiser has rights to suspect that such information is inaccurate, untrue, not current or incomplete, the Organiser may suspend or terminate the Participants’ registration and fees will not be refund. 13) The event may use your name, photographs, likeness and/or voice to appear in any documentary, promotional or advertisements, television and radio / films without compensation or further notice. 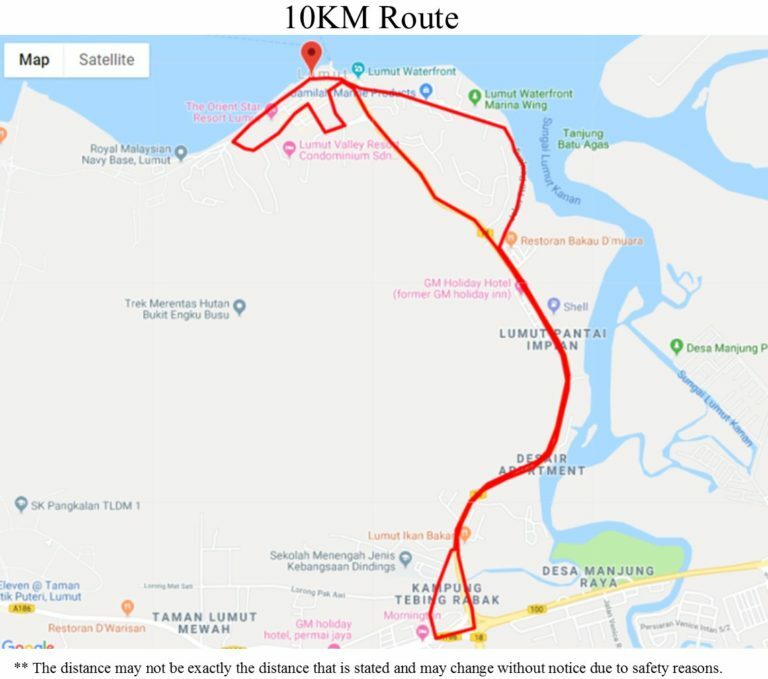 1) The Vikings Lumut Run 2019 (Virtual) is organised by Vikings Enterprise and it is open to everyone (including foreigners) who has an address in Malaysia only. 2) Participants have 3 weeks to complete the run. Where participants cannot split the distance, they have to run in 1 (one) go. 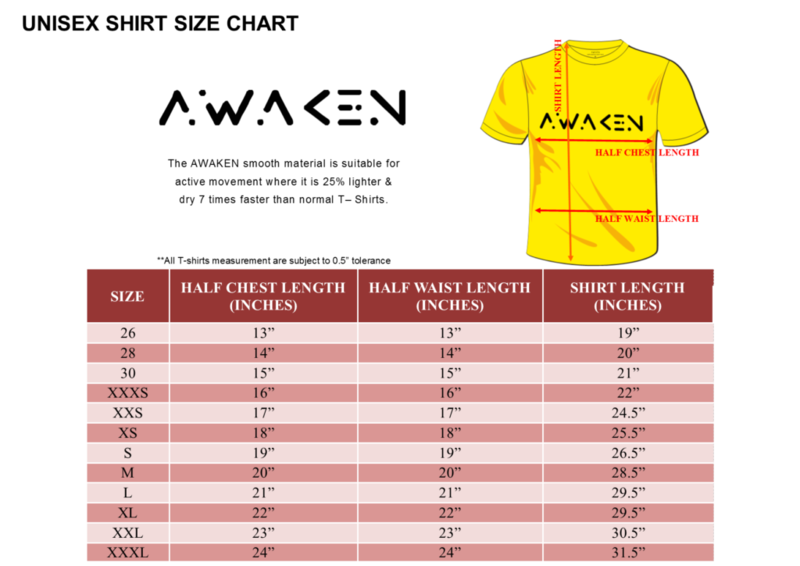 3) All T-shirts design are same as the ACTUAL RUN, measurement are subject to 0.5 inch tolerance. 13) You may use any apps to track your distance but NOT pedometer (step count).